There’s nothing like that first visit with the OBGYN when the doctor casually announces (as if she’s not about to totally rock your world) that you’re carrying twins. It’s a game-changer. I can still remember how it felt to hear Dr. Basu say, in her singsong Indian accent, “Oh! It looks like there are two in there!”. I had no idea we were even capable of having twins! After picking my jaw up off the floor I had a lot to think about. I’ve written before about when we first found out we were expecting twins, but I didn’t share this little backstory you’ll find in this month’s Real Talk post. 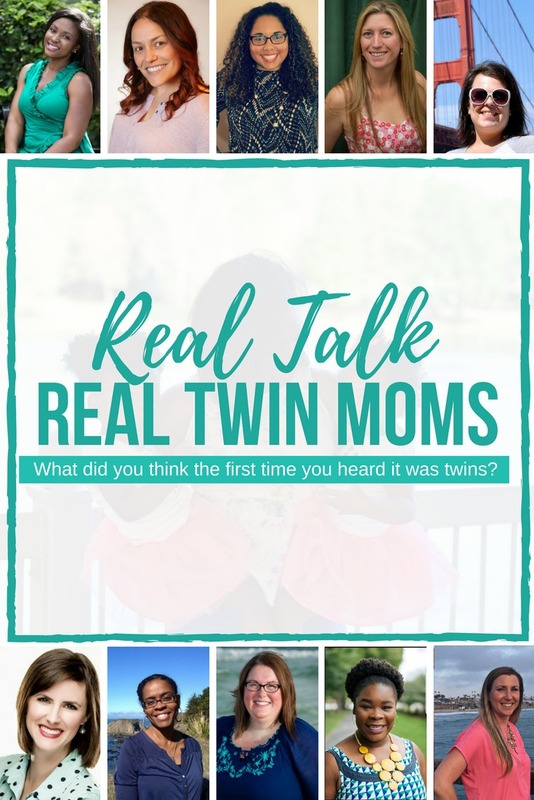 This week in the “Real Talk with Real Twin Moms” series, I’m sharing what I was really thinking when I first learned I was having twins. On the 15th of every month, the Real Talk with Real Twin Moms Series will bring you real answers to questions most moms of twins have. Everything from finding out you are having twins, to delivering twins, the struggles and rewards, and even marriage after twins. We are ready to get real about what it’s like raising twins, and hope it helps you through this adventure! Last month’s question was “When did you find out you were having twins?” and this month we are following that up with “What did you think the first time you heard it was twins?”. Learn a little bit about this month’s moms and their answer to the question at SippyCupMom.com! So What’s it Like Having Twins? Myself, along with 11 other twin mamas, are spilling the beans about our experiences. We’ll keep the conversation going throughout the year with many more revealing twin topics. So check those links above and stick around for the rest of what’s in store as we share the ins and outs of twin parenting! Recently I’ve had 2 friends who were expecting baby #3. One mom has 2 girls, and the other has 2 boys. I kinda wonder what their thoughts were when they found out they were going to have another girl for the one mom and boy for the other. The OBGYN visit when they first check the heartbeat(s) and gender(s) are such an exciting time! I’ll be perfectly honest, I was reeeeeally hoping for a girl with baby #1 (he’s a boy 😉 ) Did you get what you were hoping for when your OBGYN gave you the good news?